Former Onduparaka coach Livingstone Mbabazi has joined Uganda Premier League side, Mbarara City FC on a two year deal. The development follows a mutual agreement between the representatives of both parties with over two months to the start of the 2018/19 UPL season. According to Mbabazi’s representative Allan Mukasa, the discussions that lasted for more than a fort night were finally concluded this week when they travelled to Mbarara to sign the binding documentations. Mukasa, a shrewd football representative, however did not reveal most details from the deal signed apart from the duration on the job. “We completed the initial talks with management of the Mbarara City Football Club and agreed on a two year deal, said Mukasa. “Other details as winning bonuses, allowances, salaries and other financial nitty remain muted as for now. Mbabazi has been a care taker coach at Big League side Kyetume FC after serving for one and a half seasons at Arua based Onduparaka. The former KCCA and SC Villa midfielder also played for the Uganda Cranes before he ventured for greener pastures in Ivory Coast with Asec Mimosas, Esperance, Al Ahly and St Patrick Athletic in Ireland. He he been linked with the vacant head coach role at SC Villa in the recent past and is believed to have turned it down. Mbabazi is a hands on tactician with affluent training regimes prior to the matches but has failed to attain a role at the big bit so far. Whether Mbarara is the stepping stone that elevates him to the top remains to be seen. He will have one hell of a task ahead of him as he tries to change the Ankole Lions’ fortunes after the side struggled in the league last season. 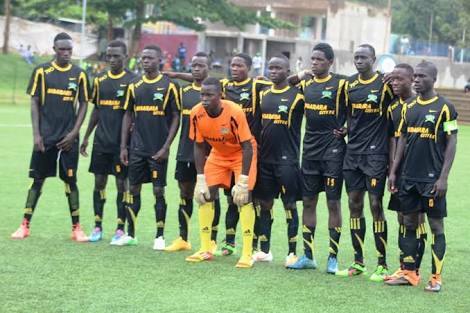 Mbarara finished in 11th on the 15 team log, only three points away from the relegation zone. They scored a league lowest of 17 goals and were the only club not to win a single game away from home last campaign with all the six victories coming at Kakyeka. Meanwhile, they will soon announce the capture of Stefan Hansson, a Swedish coach who will work at the technical director at the club starting this off-season. Hannsson arrives in the country this weekend.